This page will serve to introduce readers to the characters in real life. 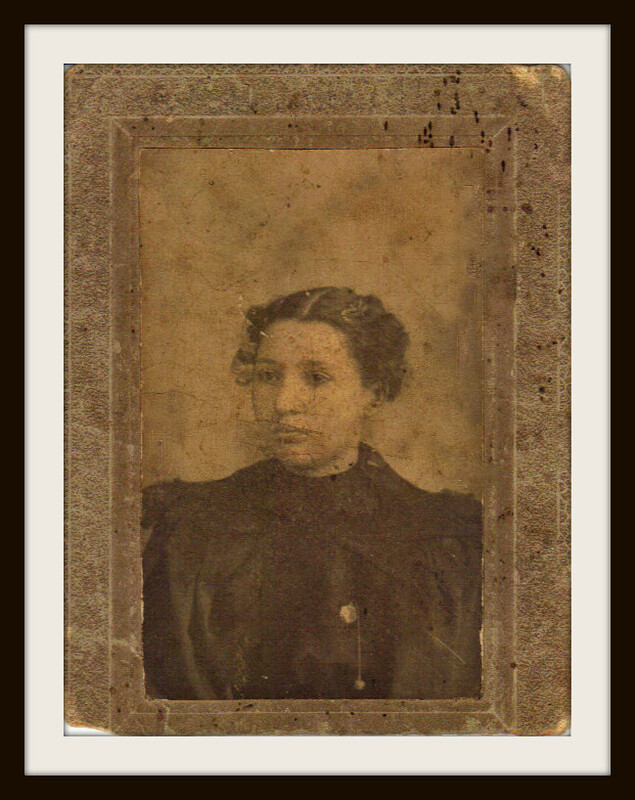 We have several pictures of Aunt Bessie, only a couple of Uncle Fletch, and a few of the rest of the Daniels’ family from Hot Springs. We’ll also be sharing some pictures of Hot Springs as it is now and a few from the past (thanks mostly to our cousin, Jackie Burgin Painter and her books). We’d also like to invite any family members we’ve met through the books to send us pictures they might have of any of the Daniels’ family or of Hot Springs or Aunt Bessie’s place on Stone Mountain. There’s another family member who lived on the mountain too but since we haven’t gotten to that in the books, we’ll wait to post pictures of her house when we get to it in the series. We’re grateful to any and all that contribute to this page and of course, thankful for the interest of our readers! The page is a work in progress. We’ll be adding pictures as we have time. To enlarge the pictures just click on them. 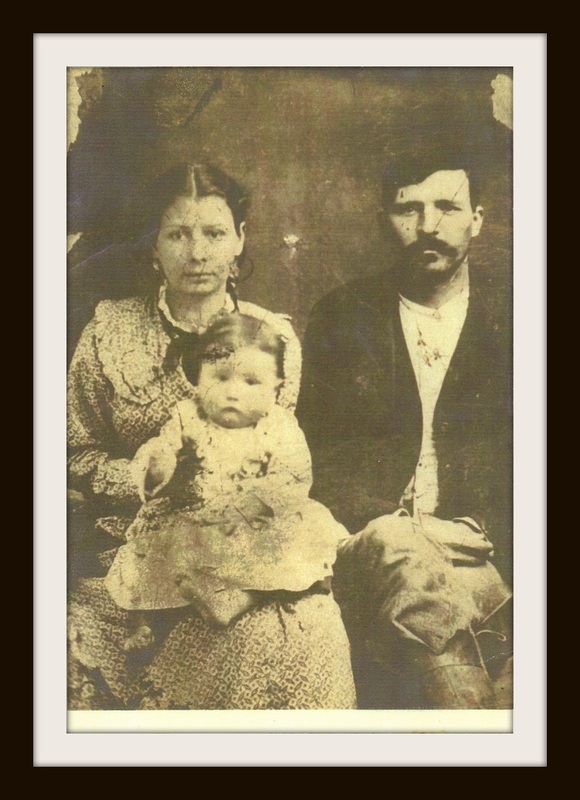 Papa (John) and Bessie Daniels when she was a baby. and the only one we have of her with her parents. There are a couple of pictures of Papa in books written by our cousin, Jackie Burgin Painter. 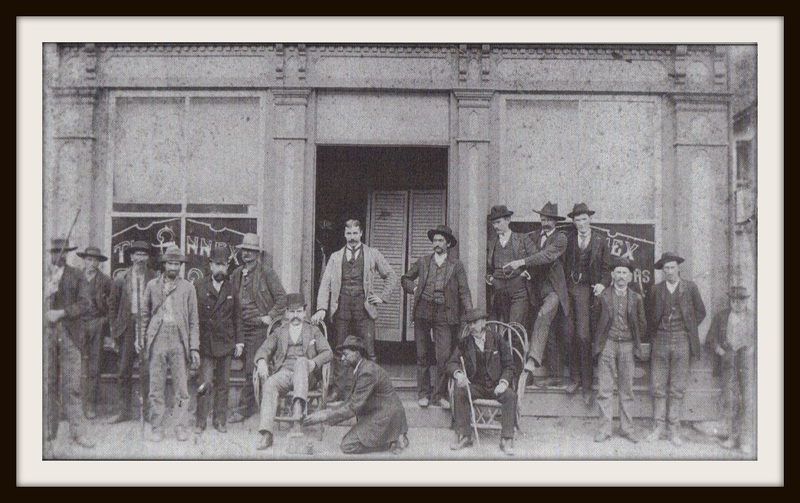 First, in The Season of Dorland Bell, which tells of the establishment of Dorland Institute where Bessie went to school, there’s a picture of some Hot Springs officials taken around 1900. 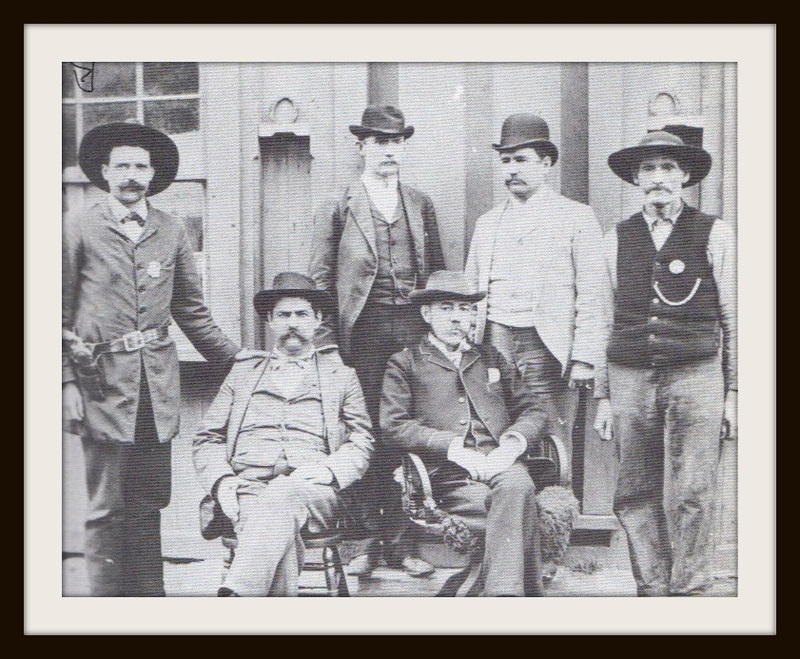 Papa is the one on the far left with the star on his chest and the handlebar moustache. 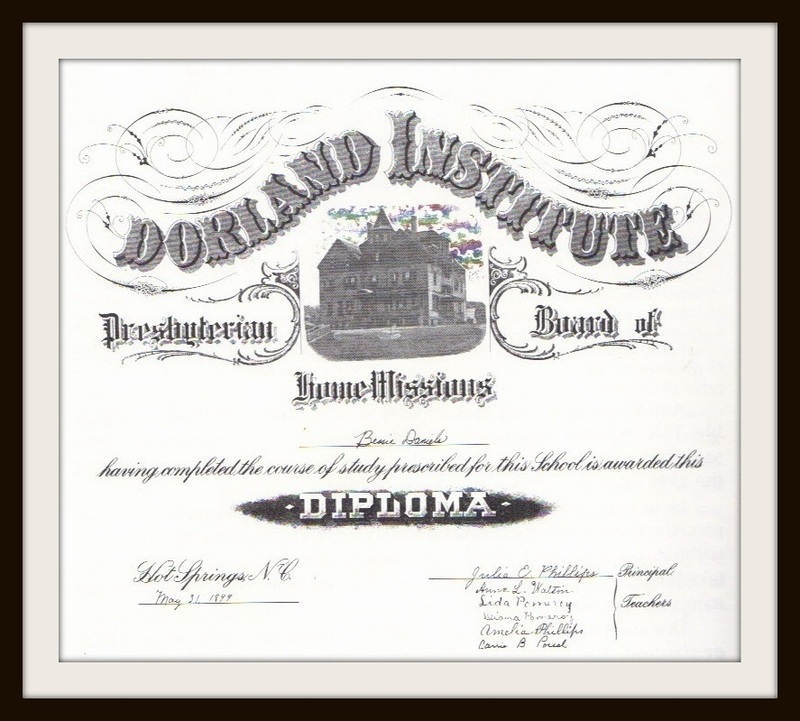 Aunt Bessie’s diploma from Dorland Institute. one is after a few very amateur touch-ups on my part on Photoshop. 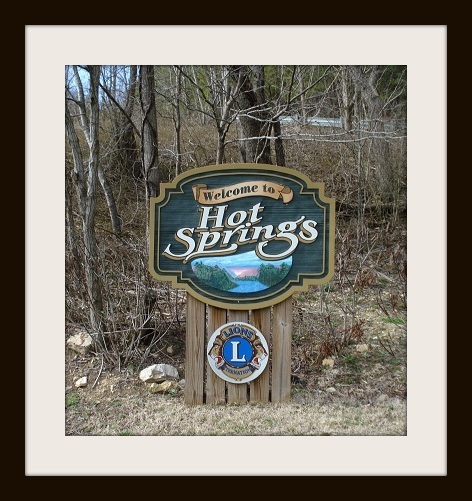 We have a few pictures of the setting which is, of course, Hot Springs, North Carolina, taken on one of the many trips we made there while researching Whistling Woman. Unfortunately, we don’t have any of the town from the time the book took place although there are quite a few to be found in Jackie’s books, The Season of Dorland-Bell: History of an Appalachian Mission School, An Appalachian Medley: Hot Springs and the Gentry Family (not available on Amazon), and The German Invasion of Western North Carolina: A Pictorial History. The marker that greets you when you drive into town today. 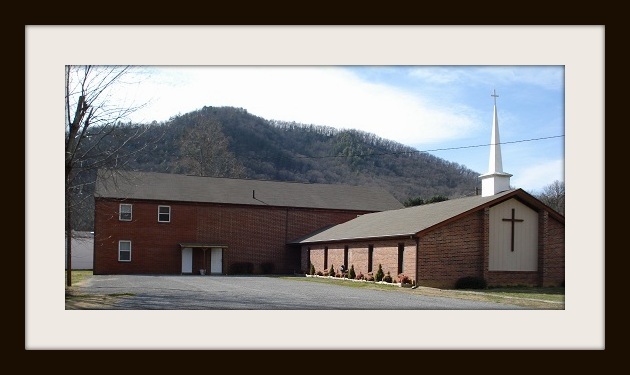 First Baptist Church where Bessie’s graduation ceremony was held. Dorland-Bell Chapel where Bessie and Fletch got married. on a story Aunt Bessie told him about a woman who kept a pet hen. the book which is why we decided to use it for the cover. and loved her design so much we decided to have her re-do the first two. This is the new and much improved cover for Moonfixer, Appalachian Journey Book 2. We only have a few pictures from this time in Bessie’s life. 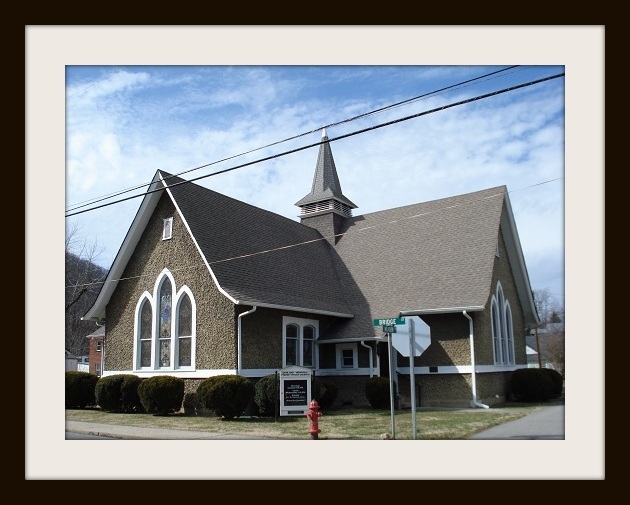 She was, of course, teaching in a one-room schoolhouse. This is a picture of some of her students. No idea when it was taken. You’ll notice that some of them are barefoot and some look as if they haven’t bathed in a while, which according to Aunt Bessie wasn’t unusual. She used to greet her students at the door with a bucket of water and a wash cloth to clean them up a bit. Aunt Bessie with some friends and relatives. From left to right. standing: Aunt Bessie, Lee Davis, Clarise Davis, Cordie Davis, and seated in front: Aunt Minnie Elliot, Davis is a very common name on Stone Mountain and it’s very possible some of the women standing with her are relatives through marriage. As you can see, the picture is very old and whoever took it cut off the top of Bessie’s head. She was a tall woman which is why the people on the mountain called her Moonfixer. Mama’s tombstone which Fletcher went to Newport and brought back to Hot Springs as a surprise for Bessie while they were visiting there. 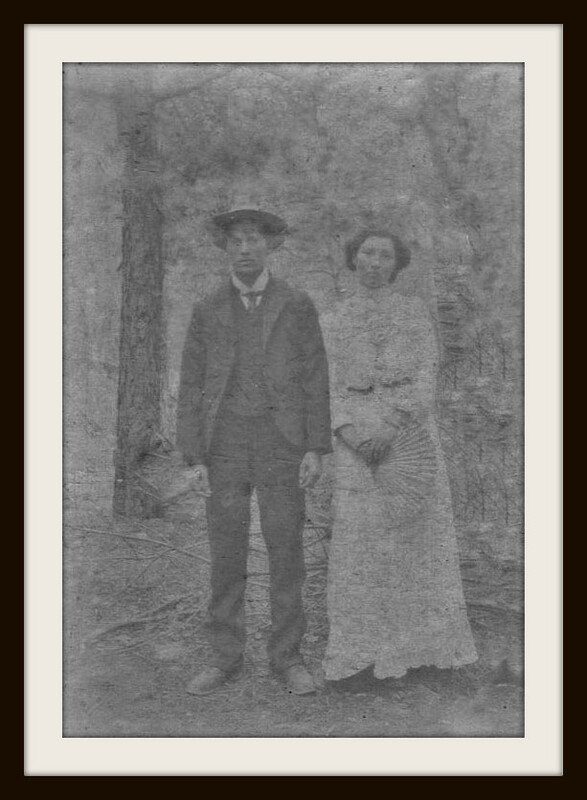 It still stands today, though we haven’t been able to find it–yet!–in Sandy Gap Cemetery in Hot Springs, NC. This is a picture taken by our cousin, Jackie, back in 1959 when she, Daddy, and Thee went to visit Lucinda’s grave. Green’s grave is in the same cemetery but we don’t have a picture of it, possibly because there isn’t a tombstone, just a wooden cross marking the site. It’s always fascinating to meet your ancestors – since my roots go back to Salem, 1696 there are a lot of them, including one horse thief and one contentious Puritan who was kicked out of the Salem church and forced to relocate to Cape Cod. Great-Grandma Francelia divorced handsome red-headed Byran Rich (almost unheard of, but I gather great-grandpa was something of a gay dog.) Anyway, he left a strain of red-hair in every other generation. My grandmother Isa Mae was a real beauty in her day and still had great legs when she died at age 90. Grandpa Henry was the best-looking dude in town and she snagged him. Grandma was a wonderful cook and only used real butter – my sweet mother did not inherit that skill but she used to crack up my college pals by leaving little notes in my lunches and writing on my bananas. Ah, memories! I’m trying to leave some for my own grandkids. Wow, M.E., your family history is fascinating. Please let me know if you ever write a book about it (or if you already have and I’ve missed it somehow!) because I’d really like to read more! Thanks for the comment!